Our conference room and two executive boardroom facilities are state-of-the-art. Two of our facilities, named after female liberation icons, are located at the top of the hotel and can accommodate ten and fourteen guests respectively. Their vantage point ensures your conference delegates a spectacular view of Soweto. 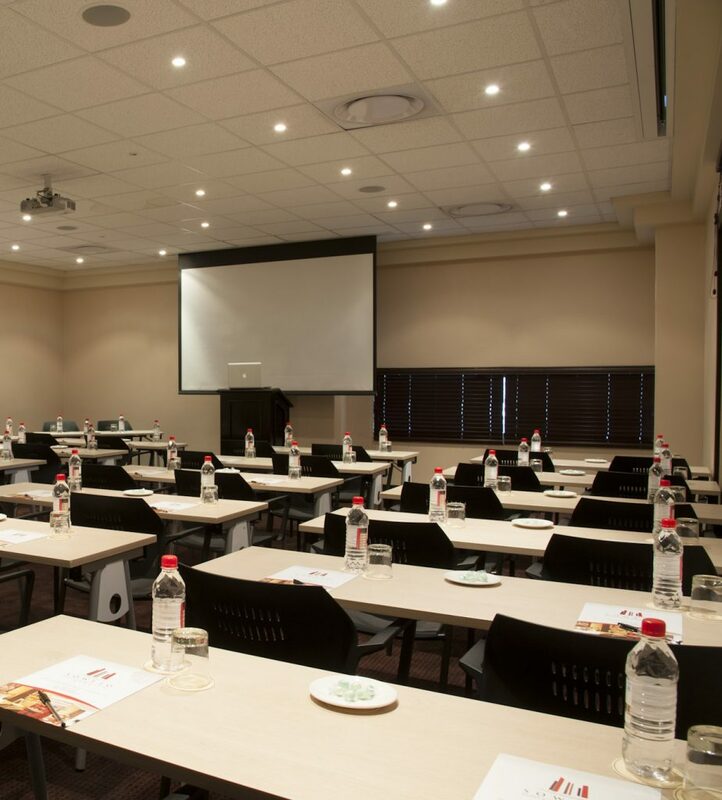 We also have a conference room located on the mezzanine level that can accommodate up to 60 delegates in comfort. Full Day Conference R490.00 per delegate. Includes Morning tea, Mid-morning tea, lunch and afternoon tea break (excluding soft drinks). Half Day Conference R450.00 per delegate. Includes Morning tea, Mid-morning tea and lunch (excluding soft drinks).